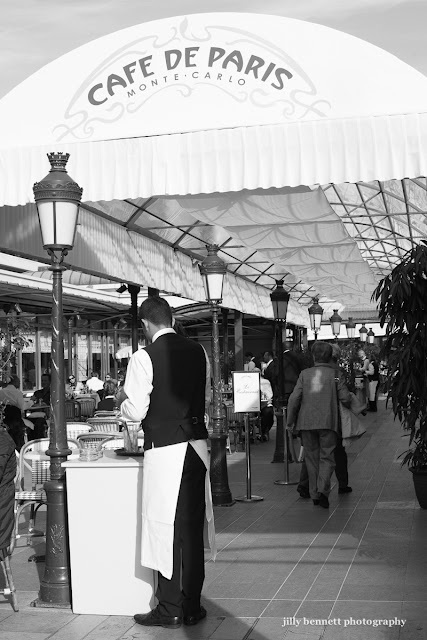 This is the new protective roof over the terrace of the Café de Paris. Oh no! I liked it better plein air. I loved hopping on the bus in Menton to have lunch in this wonderful restaurant. The food is delicious, the people-watching spectacular, and you can go inside or cross to the casino to try your luck at the slots. On St. Patrick's Day, they flew in a chef from Ireland and offered a special menu. It was great. Is the awning only for winter, I hope.